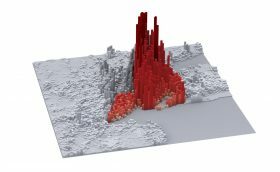 As part of their larger report “Developing Urban Futures,” the Cities Urban Age Program at the London School of Economics created a new series of digital density diagrams, 3D models that visually demonstrate the density of people in cities around the world. 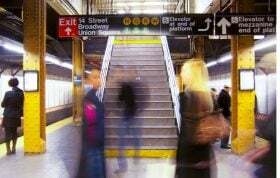 The maps combine a range of socio-economic data, including where people live, work, and commute to capture the key spatial dimensions of urban economic life. The taller spikes represent larger concentrations of people, while the flatter zones represent lower density concentrations, for example, residential or suburban neighborhoods. 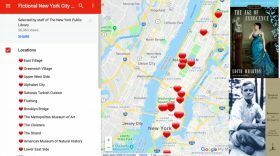 Coinciding with the first day of Women’s History Month, Grubhub announced on Friday that it is partnering with the James Beard Foundation to support initiatives that help advance women in the culinary field. Through the end of March, diners who order food on Grubhub can donate their change to the foundation’s Women’s Leadership Programs. 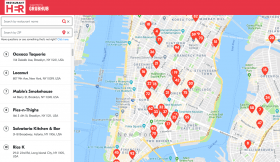 And the delivery service company has added thousands of women-led restaurants to its nation-wide RestaurantHER map, which launched last year as the first of its kind. What are the chances of a White Christmas in NYC this year? 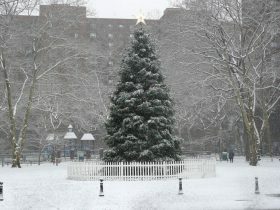 The chance of getting a White Christmas in New York City this year is sadly unlikely, but not impossible. 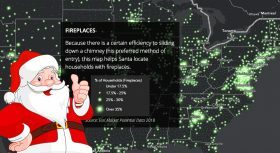 The team behind the Omni Calculator Project created an online tool that provides the probability of snowfall in major cities across the United States as well as the closest White Christmas–meaning at least one inch of snowfall on Dec. 25–near that city. While the White Christmas Calculator says NYC has a roughly 12 percent chance of seeing snow next Tuesday, there are four nearby cities with a nearly 50 percent chance of enjoying some flurries. 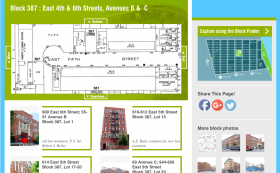 Need a gift for the New Yorker who has it all? 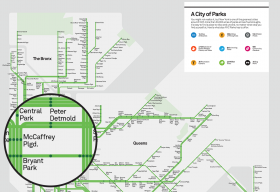 How about this fun map from the Parks Department that plots NYC parks in the style of a traditional subway map? 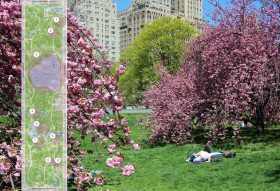 Not only can you peruse the map online, but just for the holiday season, limited-edition, full-size posters of “Next Stop: NYC Parks” are available for purchase.